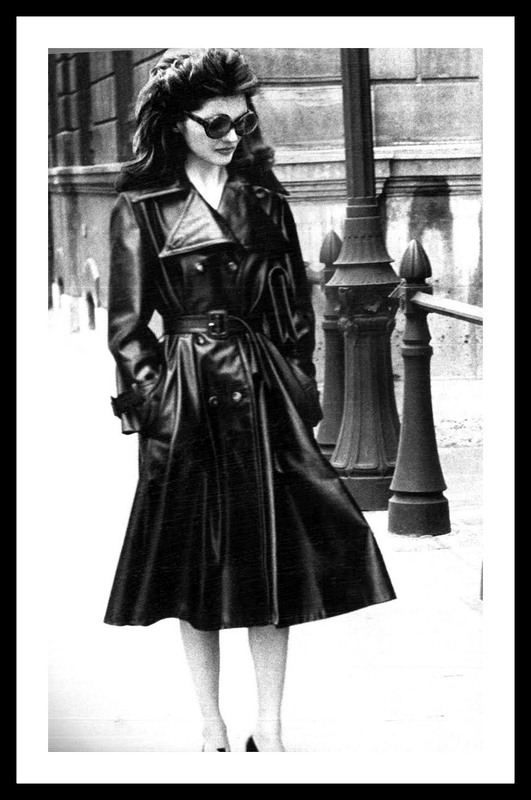 Click to see full layout: Helmut Newton shot this layout in the streets of Paris in 1972 for Vogue. 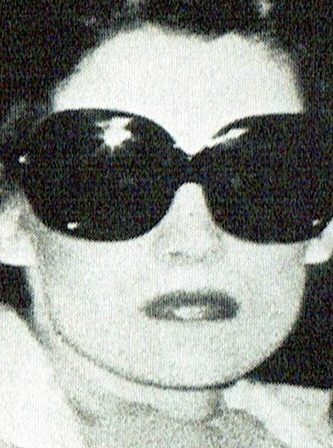 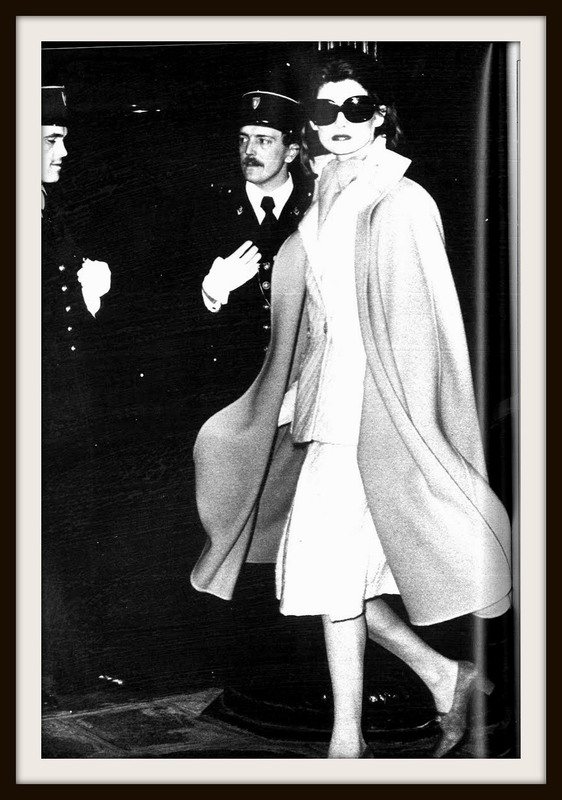 Featuring Linda Morand, who bore such a striking resemblance to Jackie O that for a moment everyone was fooled. 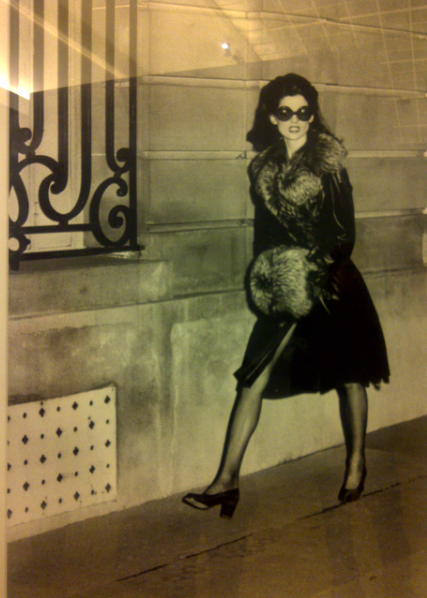 Richard Avedon sent a telegram of congratulations. 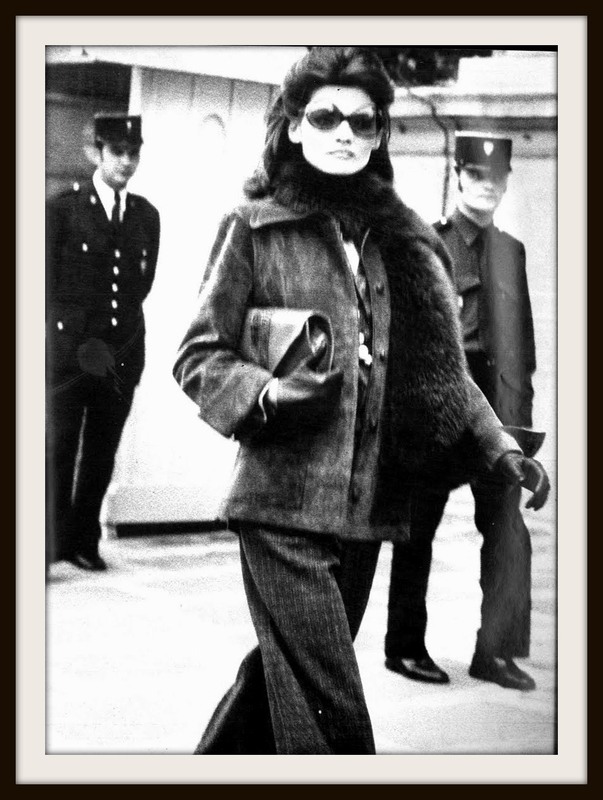 Jacqueline was ready to sue….but Linda’s name was mentioned in the text as a “certain client.” As the Viscountess de Dorne she had many designer dresses in her personal wardrobe.